Accommodating its guests in five superbly appointed and perfectly sized vessels, Regent Seven Seas will take you – in some style – to over 450 exciting destinations around the globe. 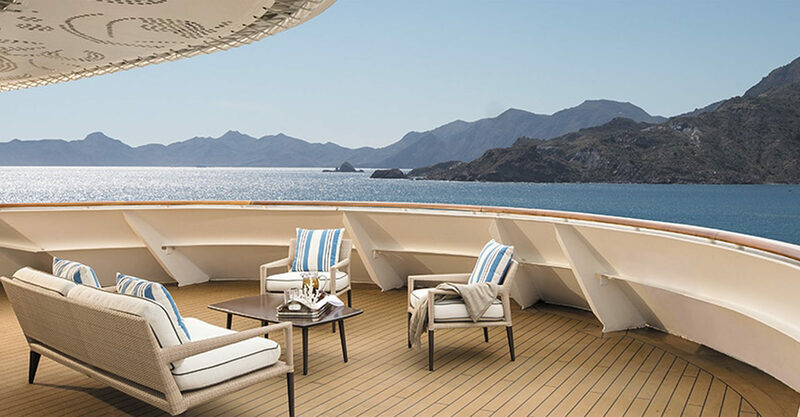 Expansive in size yet fitted with no more than 375 suites each, Regent Seven Seas’ award-winning fleet offers travelers an elegant and intimate sailing experience. Each ship is manned by a professional crew whose warm service and hospitality will make you feel right at home whilst out at sea. Unlimited shore excursions, dining in speciality restaurants, fine wines, premium spirits – and even tips – are all included as part of your stay, making a cruise on the Regent Seven Seas an excellent value for money option. Each ship features spacious suite accommodations elegantly fitted with custom furniture, large living areas and stylish marble-appointed bathrooms. Nearly all suites come with their own private teak balcony and walk-in closet. But it’s the destinations you arrive at that will really capture your attention. From the thick jungle of the Amazon rainforest to the dynamic cities of Asia, Regent Seven Seas will give you a new perspective on some of the world’s most exotic destinations. Where will Regent Seven Seas take you?